NOTE: It was brought to our attention that some may confuse this site to be affiliated with, or sanctioned by, its namesake, and/or IC Places Inc. TO BE CLEAR ==> THIS SITE IS NOT AFFILIATED WITH, OR SANCTIONED BY, STEVEN SAMBLIS, IC PLACES, INC., IMAGINATION TV, OR ANY ENTITY LEGALLY ASSOCIATED WITH THE ABOVE REFERENCED PARTIES ! Please see full disclosure here. This site is in association with the network of sites owned and operated by Friends of IC Punch Media. Not quite sure how anyone could misunderstand such, but hopefully the above text made that clear. We were alerted that this domain name was available by someone unknown to us via an email. Mr. Samblis previously held the rights to his namesake domain address, and we couldn't believe he would let it lapse. Given that we own and maintain a series of sites we thought it would be a good idea to purchase the domain address and use it to drive traffic to our other sites. So we did. We initially constructed what we thought was a flattering graphical slideshow featuring Mr. Samblis and other pictures that could be found around the web, and on Google Images. Not too long after doing such we were contacted by Mr. Samblis and he ordered us to take down the site, stating that the pictures we were displaying were not public domain pictures and that they were his copyrited pictures. You can follow the chain of emails exchanged linked below (notice the "easy read" link also). Also as the email illustrate, there later became a time in which Mr. Samblis authorized the pictures to be used, then shortly thereafter ordered them removed again. After all the nastiness from Mr. Samblis... the site is now the way you see it. It's a shame Mr. Samblis exhibited such arrogance and let his ego overcome his common sense. This was a nice site before Mr. Samblis initiated the series of events that deteriorated the situation into what you see today. Also, you will notice within the chain of emails that there was a time in which a deal was struck that would have returned the domain name to Mr. Samblis. But once again Mr. Samblis created a situation in which he caused the deal to be cancelled. He all but had the domain back when he went on a public message board and called us "dirtbag" and "squatter". Not the way to consummate a deal that was all but complete. Also, although its not been widely published, there is another string of emails where, in spite of Mr. Samblis's childish actions, he was given the opportunity to reconstruct the deal, however it required him to publically apologize to us on the same public message board he attacked us on. We are still waiting for the apology. He has however since made a monetary offer that was larger than the amount agreed to before his attack on us... however we turned that down because the apology was not published. This is the exchange with Samblis over the domain names. ---> Mr. Samblis is now threatning legal actions if we don't remove his emails. NEW ==> Samblis unsuccesful at taking over our sites - details here. Even Newer ==> Samblis wanting a second bite at the apple - details here. 6/1/2016 - Samblis loses AGAIN ! Details HERE. Note: This picture is the only one we could find that was in the public domain. 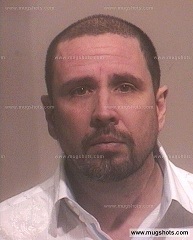 Steven Samblis notified Friends that we could not use any of the pictures (after he had previously given us authorization (here), that could be found around the web (Google Images) for use on this site. This picture was first obtained from the following link on Investors Hub here . 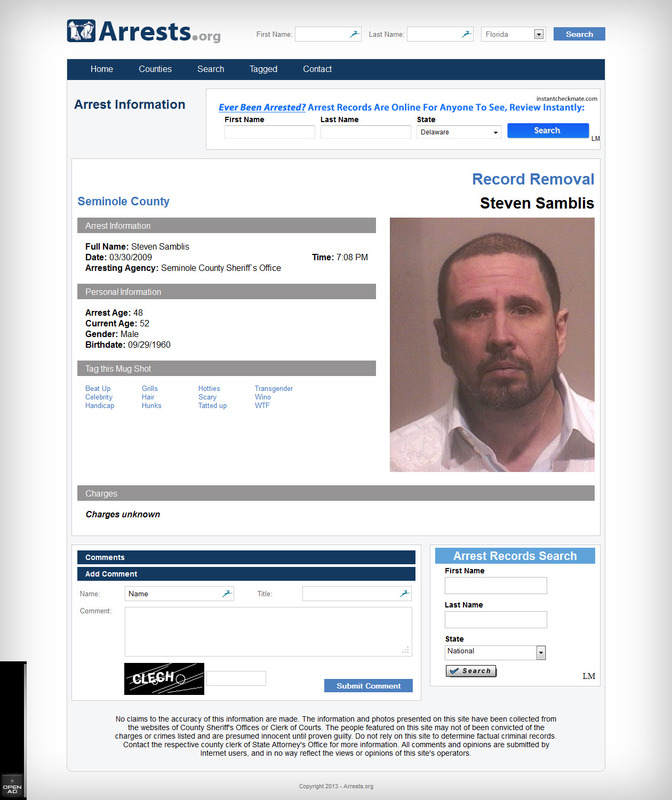 However, Mr. Samblis has been busy trying to erase his past, and has successfully had most of the links deleted. BUT... as they say, once on the Internet - ALWAYS on the Internet. A reader provided Friends with this original link from Arrests.org. And, if those are unsuccessful, here is the captured page. Perhaps in the future Mr. Samblis may see the merits of allowing us to use some more flattering pictures that he states are copywrited. Till then, this is all we could find that he couldn't lay claim to. Read about the history of this photo here.